Following many years of advocacy, policymaking, and planning, the Delaware River Basin Restoration Program is finally getting underway in earnest. Trout Unlimited restoration staff in New York, New Jersey and Pennsylvania are among the partners putting $4.1 million in new funding to work conserving and restoring the region’s natural resources. Today in Wilmington, Del., awards under the new matching grant program were announced by the National Fish and Wildlife Foundation and the U.S. Fish and Wildlife Service, alongside congressional and nonprofit champions of the program. The DRBRP partnership coordinates and prioritizes efforts to restore fish and wildlife habitat, improve water quality, enhance river flows, mitigate floods, and improve recreational access. The 25 inaugural projects funded this year will leverage an additional $7.5 million in funding, stretching federal dollars and the program’s impact. The federal funding complements a major 10-year initiative of the William Penn Foundation in Philadelphia to restore and protect the watershed. Over the years, TU has worked with its partners at the Coalition for the Delaware River Watershed to advocate in Congress for the creation of a dedicated conservation program for the Basin, which harbors important wild trout fisheries and supplies drinking water to 15 million people. Thanks to these efforts, the program received $11 million in appropriations over the past two years. With projects now underway, supporters are seeking $10 million in FY20 to sustain the momentum. With a $55,000 grant, TU will assess road-stream crossings in priority Eastern brook trout watersheds in the Delaware River basin of both Pennsylvania and New Jersey. 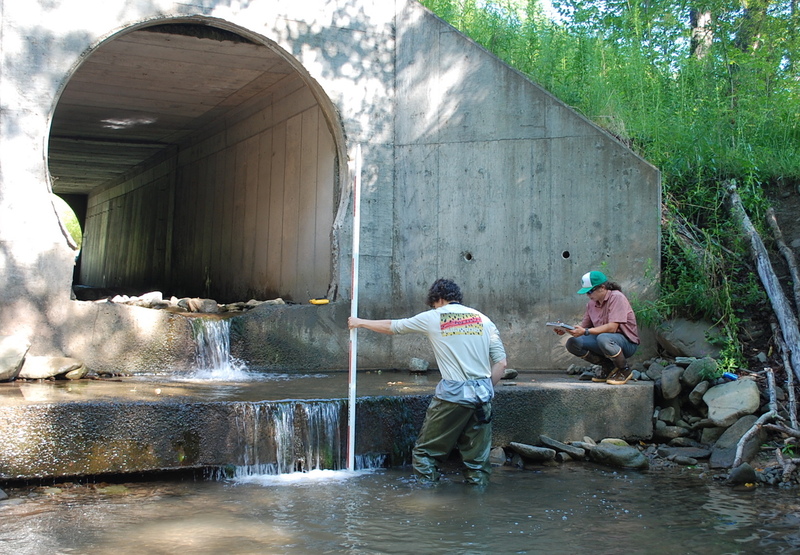 The goal is to identify culverts that block the passage of fish and exacerbate flooding. Grant funding will help TU assess road stream crossings to identify culverts that block fish passage and exacerbate flooding risks. State agencies have emphasized dam removal to address fragmented habitat across the watershed. But while the impacts of dams on aquatic habitat connectivity are generally well-known, the impacts of failing, undersized, or poorly installed culverts are not. With this funding, TU will bridge that information gap. We will also provide technical assistance to help local communities address aquatic connectivity and flood resilience at road-stream crossings that impact coldwater resources. TU received $176,000 to lead restoration efforts on a 2.4-mile stretch of Lopatcong Creek, the largest limestone spring-fed tributary to the Delaware River in NJ. This stream has historically been home to native eastern brook trout, but degraded water quality and loss of habitat have caused a dramatic population decline. 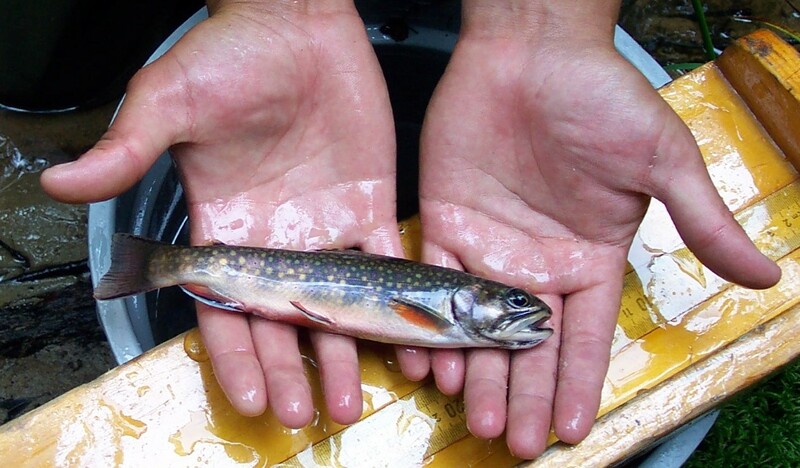 By reconnecting the Lopatcong to its floodplain, stabilizing banks, planting riparian trees, and restoring instream habitat, TU aims to increase the health and size of the brook trout population. Doing so on preserved public lands will make an additional two miles of fishable water assessable to New Jersey anglers. Friends of the Upper Delaware River (FUDR), the Delaware County Soil and Water Conservation District, the towns of the Upper Delaware River Tailwaters Coalition, and TU received a $250,000 grant aimed at improving instream habitat and mitigating local flooding. Tracy Brown, TU’s restoration manager for New York and Connecticut, said the funding will support ongoing local efforts to identify and implement a variety of projects. “These include projects to improve aquatic habitat, create local jobs, improve local infrastructure to mitigate flooding, protect water quality, and enhance recreation opportunities,” Brown said. Floodplain and instream habitat improvements on Downs Brook, a tributary of the East Branch of the Delaware River near the Pepacton Reservoir. Replacement of a road stream crossing culvert on Baxter Brook, also an East Branch tributary, that causes flooding and restricts fish passage. This project will reconnect seven miles of upstream habitat. Removal of small dam on Frog Hollow, a tributary to the upper Willowemoc Creek, to open up 3.2 miles of high-quality spawning habitat. On this wild brook trout stream, TU will eliminate a barrier to fish passage, install rock and log vanes, and stabilize the stream banks. The grant will also fund a fiber-optics thermal study on Downs Brook and Cadosia Creek that will help prioritize future instream habitat improvements. The research will allow TU to focus restoration efforts on stream sections where groundwater cools the flow, providing thermal refuge to wild trout stressed by high summertime water temperatures. These projects, to be led by Brown, will allow TU to build on its recent restoration efforts in the Upper Delaware River. In all, NFWF calculates that the 25 projects funded during this inaugural round will restore 64 miles of instream habitat, 12 miles of riparian habitat, 549 acres of floodplains, and 626 acres of wetland habitat. David Kinney is Trout Unlimited's eastern policy director.